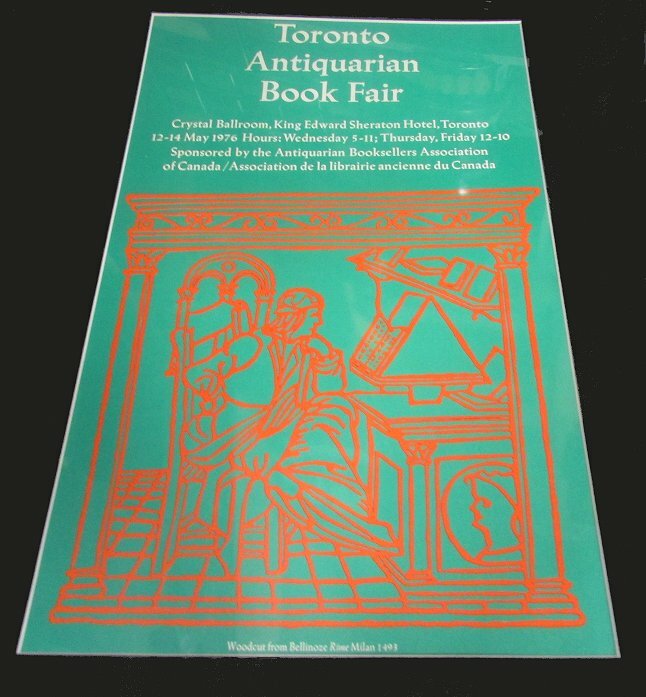 Toronto Antiquarian Book Fair. Crystal Ballroom, King Edward Sheraton Hotel, Toronto 12-14 May 1976. NP: Will Rueter, 1976. Size is 16" x 10 1/2". Fine. Poster is matted. With a woodcut from Bellinoze Rune Milan 1493. Design and printed by Will Rueter.